New York University (NYU), one of the largest universities in the United States, has produced power on site since the 1960s and installed a large oil-fired cogeneration plant in 1980. At the end of that facility’s useful service life, NYU made a transition away from oil-fired technology towards a modern natural-gas fired combined heat and power facility, with eyes towards microgrid capabilities, better reliability, and a better control of their energy expenditures. The upfront capital cost of the upgrade was significant at $126 million. However, tax-exempt bonds arranged through the Dormitory Authority of the State of New York and through NYU tuition and fees helped to provide low-cost financing sources. The CHP system has an output capacity of 13.4 MW (twice as much as the old plant’s capacity) and has been fully operational since 2011. It supplies electricity to 22 buildings and heat to 37 buildings across campus. The microgrid consists of two 5.5 MW gas turbines for producing electricity coupled with heat recovery steam generators and a 2.4 MW steam turbine. The NYU microgrid is connected to Con Edison distribution grid and purchases electricity when demand is superior to the on-site generating capacity. Yet, unlike before, the NYU microgrid is now able to island from the distribution grid. This has been successfully tested during Hurricane Sandy when the NYU microgrid successfully islanded from the local distribution grid and continued to provide reliable power to much of the NYU campus. The modernization of the plant has presented impressive results both economically and environmentally and has proven its benefits. 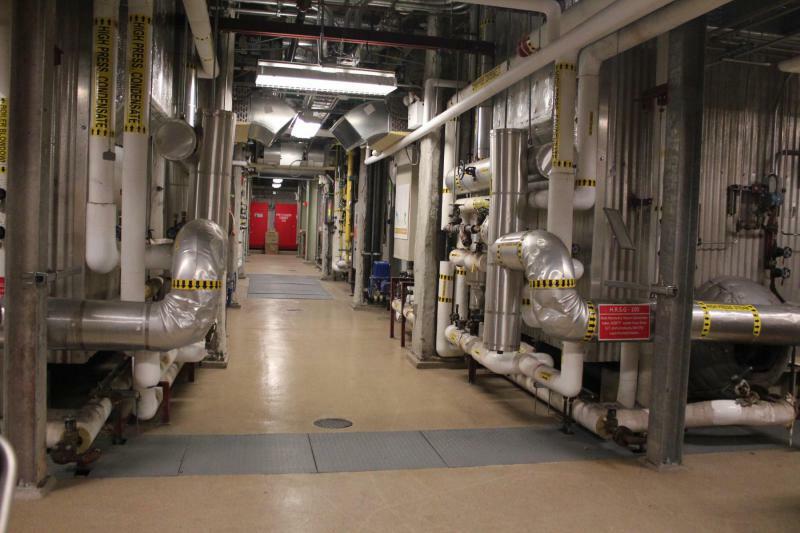 NYU has evaluated savings on total energy costs to be $5 to $8 million per year. The new facility has drastically reduced NYU’s local emissions with an estimated 68% decrease in EPA criteria pollutants (NOx, SO2, and CO emissions) and 23% decrease in greenhouse gas emissions. This has been a great step towards the commitment that the university made to the City of New York to decrease its greenhouse gas emissions by 30%.